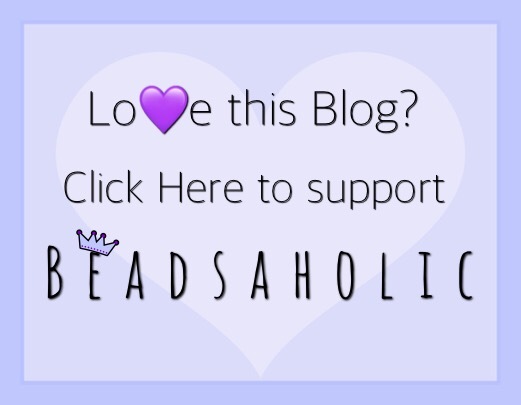 Today Beadsaholic brings a preview of Trollbeads Valentine’s Day Rose Spacer! There is nothing more feminine or romantic than pearls and beautiful flowers. Most women love to receive roses on Valentine’s Day, why not receive Roses that will last forever? I wanted the new Trollbeads Valentine’s Day Roses to be front and center in this combination and I think that the Trollbeads Pink Pearls and Trollbeads Baby Breath are the perfect frame for the Rose Spacer! Side profile is so pretty, I love how the Rose Spacer sits above the Pink Pearls. The Rose Spacer also has a rubber O-ring inside and can be used as a stopper. An up-close view of the Rose Spacer allows you to see the details of the petals. Over all, I feel this is a must have for any collector or anyone who loves wearing bangles and using Spacers/stoppers. The Valentine’s Day Rose Spacer is beautifully made and will complement any combination. Trollbeads Valentine’s Day Rose Spacer is now available at all Trollbeads Retailers. 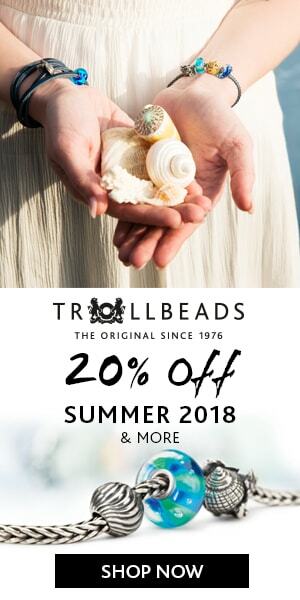 If you are ready to shop or just want to browse the Trollbeads line you may do so by clicking the Trollbeads USA banner below (affiliate link). Please note that Trollbeads USA only ships with in the US. However, all the retailers below banner ship globally and have fantastic customer service. As always, I love hearing from you all. What are your thoughts on the Trollbeads Valentine’s Day Rose spacer? Is this spacer on your wish list? Nice and enough details but for such a special day not amazing and way too much for such a small bead.